Being the sequel to the incredibly fashionable slot with overwhelming jackpots Mega Fortune Dreams is the second successful slot machine game from Net Entertainment. As many other video slot games it has 5 reels and 20 paylines with every spin cost between 20p and £80. It can boast even better animations and graphics as now you appear in the brilliant world of wealth with the abundance of diamonds around you. You can become the winner of 1,680,000 coins. With the opportunity to play with each pay-line per every spin the number of winnings in this online slot game can be incredibly big. You can also choose the value of coins when you start the game: it varies from 0.01 to 0.50 per each coin. A Free Spin feature is also available in this slot machine game as you receive 10 free spins and a 3 to 8x multiplier of your total number of coins. 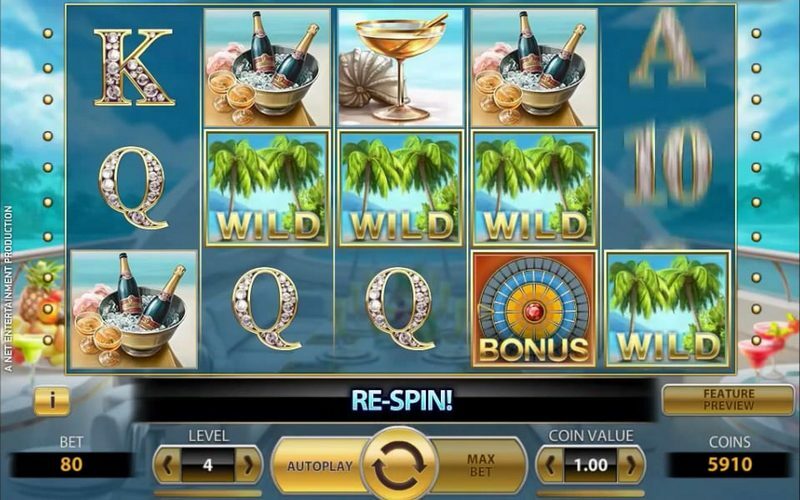 There is also a re-spin feature with each new Wild symbol on the reels that are to substitute any other symbols to increase the quantity of winning combinations. 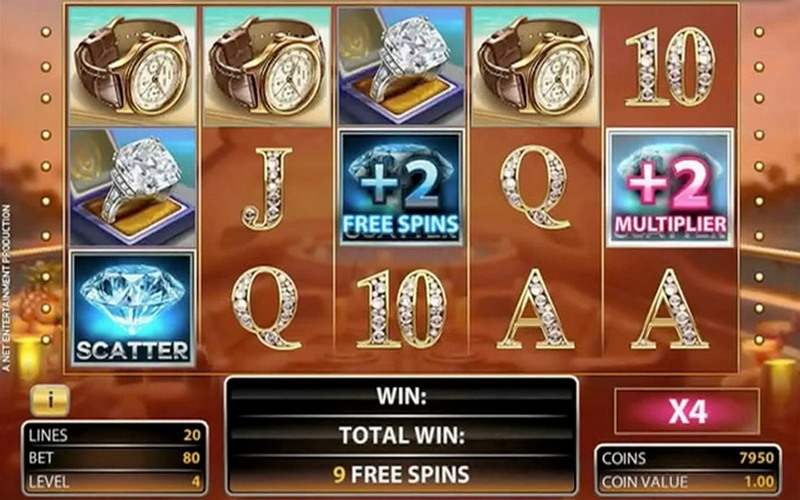 Mega Fortune Dreams is a worthy successor of the wonderful slot machine game Mega Fortune. It has a very pleasant background, fascinating symbols of slot and a variety of opportunities to make each player a millionaire. No wonder millions of gamers have already appreciated its brilliant design and exciting life-changing wins. A diamond is the scatter symbol that appears on the screen together with other symbols of slot like adorned with diamonds letters, gold watches, rings etc. It is very pleasant to receive a toast with two glasses of champagne when you have a big win. The “wild” symbol is an image of two palm trees that add re-spin feature. The bonus symbol is a wheel of fortune that leads you to the Bonus feature. After you get 3 Bonus wheel of fortune anywhere on the reels you are lucky enough to play a bonus game. A large bonus wheel with crisper will appear on the screen and you get an opportunity to win three cash prizes and go through three wheels to win one of three jackpots. There are several sectors on this wheel that rotate one by one and offer you game symbols. Lucky people win fantastic money playing a bonus game. 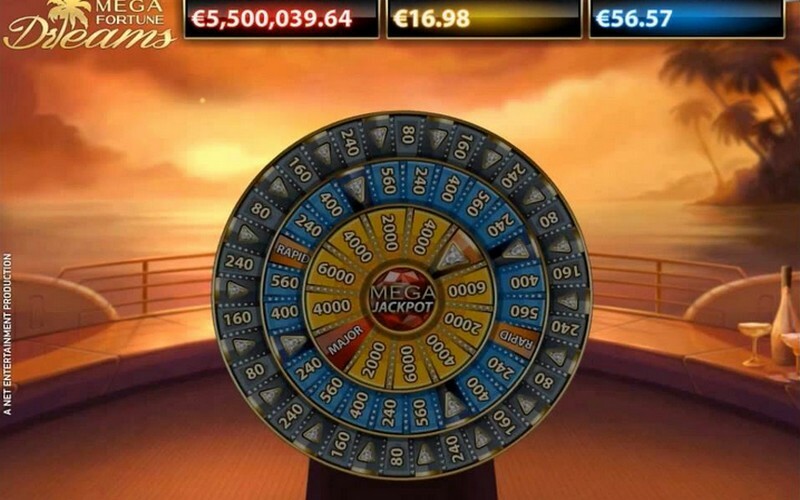 Here you can even win The Mega Jackpot, which is millions of Euros today!